Mexican Shrimp Cocktail is a favorite go-to on a hot summer day or evening! 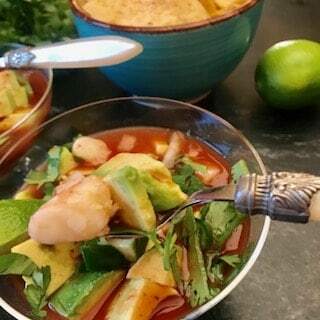 Seasoned shrimp, fresh avocado and lime juice resting in a tomato concoction with onions, cilantro and jalapeno! Mexican shrimp cocktail is probably a spin-off of the proverbial ocean-side dish, ceviche, which consists of fish being cured in fresh lime and swimming in a spicy tomato base with fresh cilantro and jalapenos. This recipe is quick, easy and delicious with only a few ingredients; however, the key to its flavor is in the shrimp. 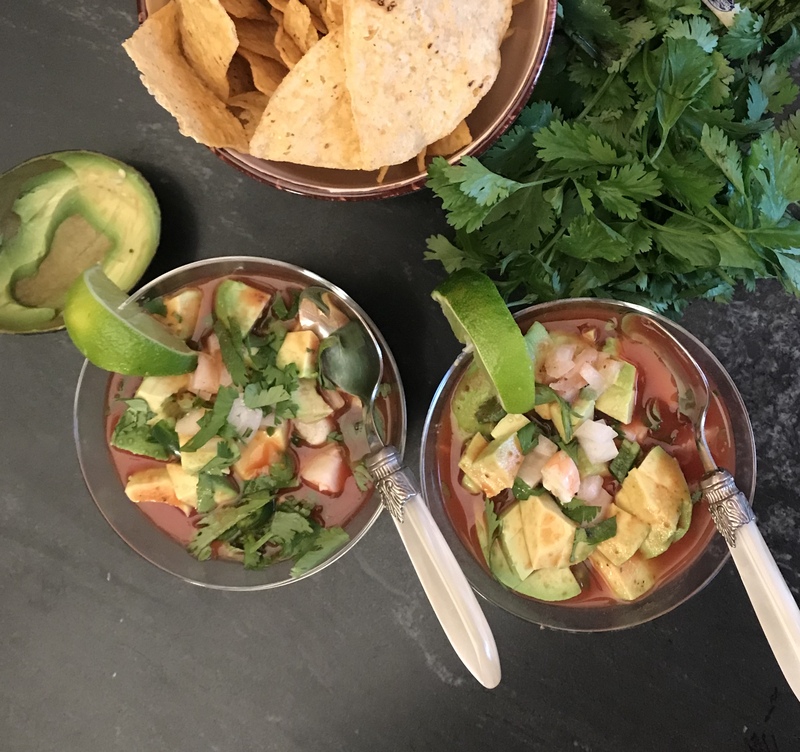 Seasoned shrimp in a spicy tomato-based juice with fresh avocado, lime, cilantro, onions and jalapeno! The amount of tomato juice per serving is a personal preference. I prefer more shrimp and goodies than juice, so this recipe allows for about 1/2 cup tomato juice per serving. Shrimp: Fresh is best, but frozen is second best. You can either purchase small salad-style shrimp or larger ones. It depends on your budget and if you want to serve whole shrimp in each serving or chopped shrimp.